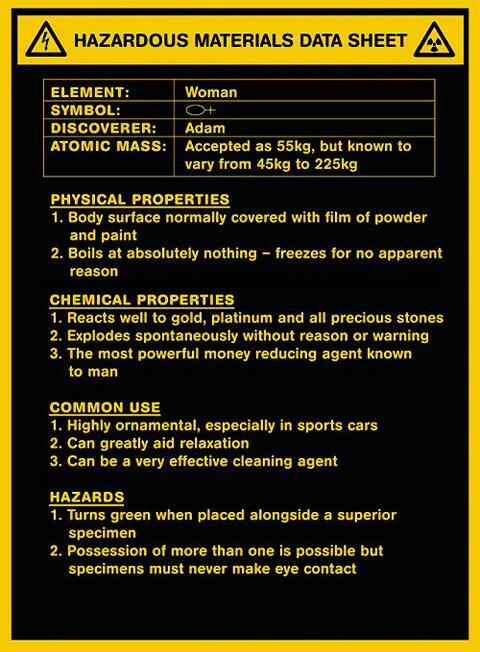 amk: An Engineer's View On Women..
An Engineer's View On Women.. 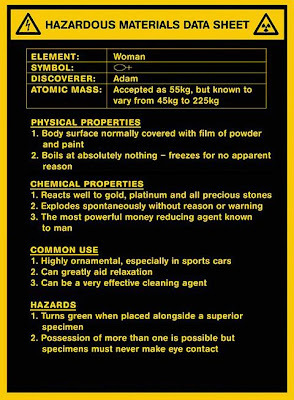 If an engineer created a hazardous material sheet, or an infographic in this case, on women, it may get a bit technical. Listing the physical properties, chemical properties, common usage, and hazards.